Chocolate Hazelnut S’mores Bars Recipe - One of the best chocolate recipe ever follow simple instruction to do it at your home. In a large bowl, mix butter and brown sugar. Beat in the egg and vanilla and continue blending for 2 minutes. Add the dry ingredients and mix until dough forms. Place half of the dough in the baking tray, making sure the entire bottom is covered. Spread the hazelnut spread evenly, then add the dark chocolate on top. Take the remaining dough and make small shingles to cover the the top. Cut into desired pieces and enjoy. 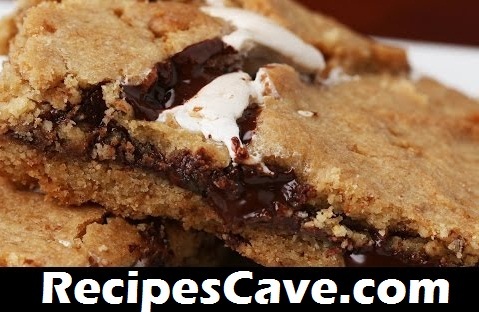 your Chocolate Hazelnut S’mores Bars Recipe is ready to taste.